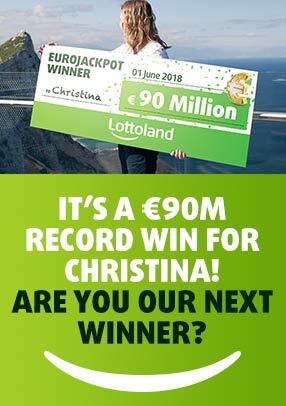 How would you would like to start 2018 a crazy £100m richer? We thought so! Get the champagne on ice – it could be a New Year’s Eve to remember! What is the Mega 2019? The Mega 2019 New Year’s Eve Jackpot is an exclusive Lottoland event featuring an incredible £100m jackpot. Bet on the outcome of the Brazilian Mega Da Virada draw for the chance to win a 9-figure jackpot just in time for midnight. As well as our unique £100m top prize, there are additional prizes when you match 4 and 5 numbers. What a way to see in the new year! For more on this click here. How to bet on the Mega 2019? It couldn’t be simpler to bet on the Mega 2019. Just choose 6 numbers between 1 and 60 then click 'Place Bet'. You can even choose a QuickPick to pick your 6 numbers completely at random. If you’re the only one to match all 6 numbers, you’ll win our exclusive £100m New Year’s Eve jackpot! With just 6 numbers needed to win the Mega 2019 lottery, you’re TWICE as likely to scoop up the jackpot as you are with the EuroMillions – with these fantastic odds, it’s easy to see why this is such a popular lottery! Draw happens just once a year – don’t miss out! Add even more excitement to your New Year’s Eve celebrations. Can you think of a better way to start the new year than becoming a multimillionaire? !